“Stopping the Pipeline Rocks” is a project of Bold Nebraska, Hear Nebraska — a nonprofit cultural organization that promotes music and arts — and Lincoln-based Red Rebel Media. 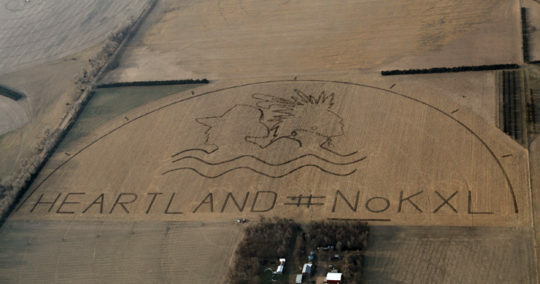 Artists traveled to the Build Our Energy barn, located directly in the path of the proposed Keystone XL pipeline, to record an album powered by clean, local solar and wind energy. 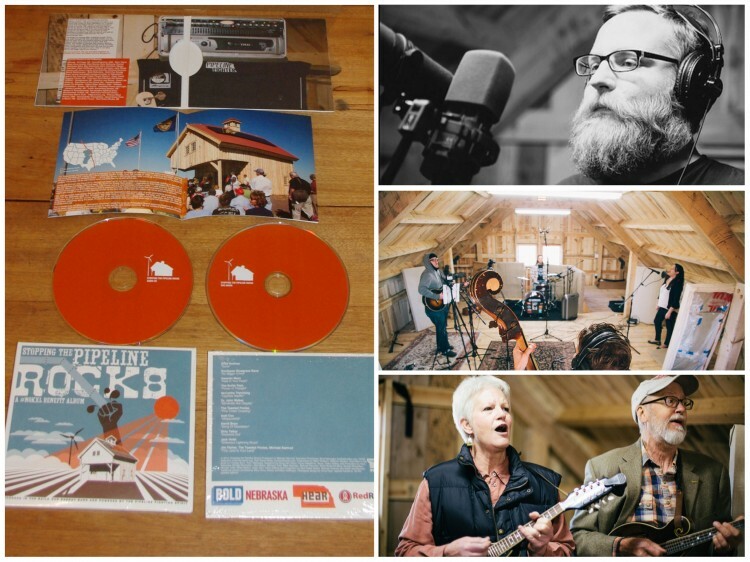 Hear Nebraska filmed the recording sessions and interviewed artists for a documentary on the album project and the story behind the construction of the barn. The DVD also includes another documentary on the creation of the barn. 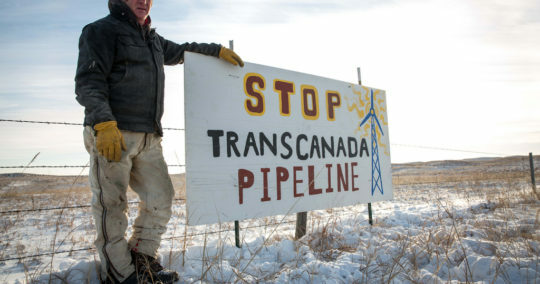 DVD PREVIEW: Watch Lincoln folk legend Dr. John Walker perform his song “Windmills Not Oil Spills in the Sandhills,” originally written for a 2011 Bold Nebraska benefit concert emceed by rancher and landowner Randy “I Stand With Randy” Thompson. 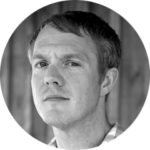 “Windmills Not Oil Spills in the Sandhills” by Dr. John Walker from Hear Nebraska on Vimeo. 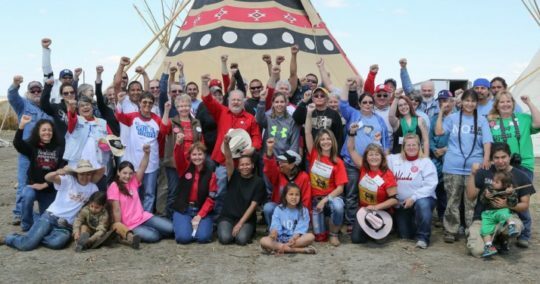 The Build Our Energy barn was built by volunteers as a gathering place for Pipeline Fighters but also to show President Obama we can build our own clean and local energy and do not need to risk our land and water for a risky tarsands pipeline. 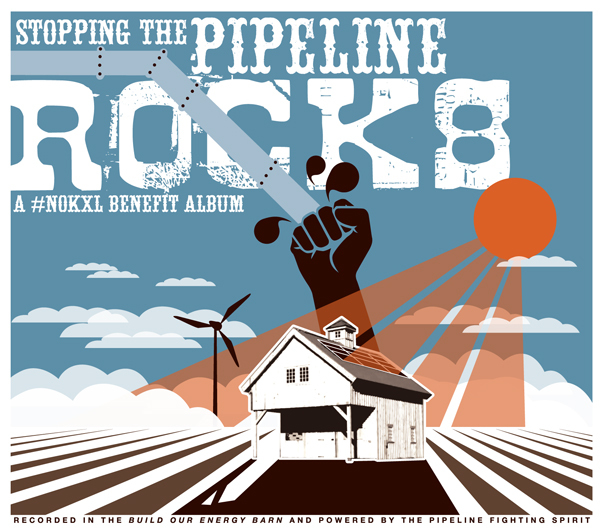 Proceeds from the fundraiser and sales of the “Stopping the Pipeline Rocks” album will go to the fight against TransCanada’s Keystone XL pipeline, and support more clean energy projects like the Build Our Energy barn.